Find Pocket Watch, Stainless Steel Watch, Wood Watch on Industry Directory, Reliable Manufacturer/Supplier/Factory from China. 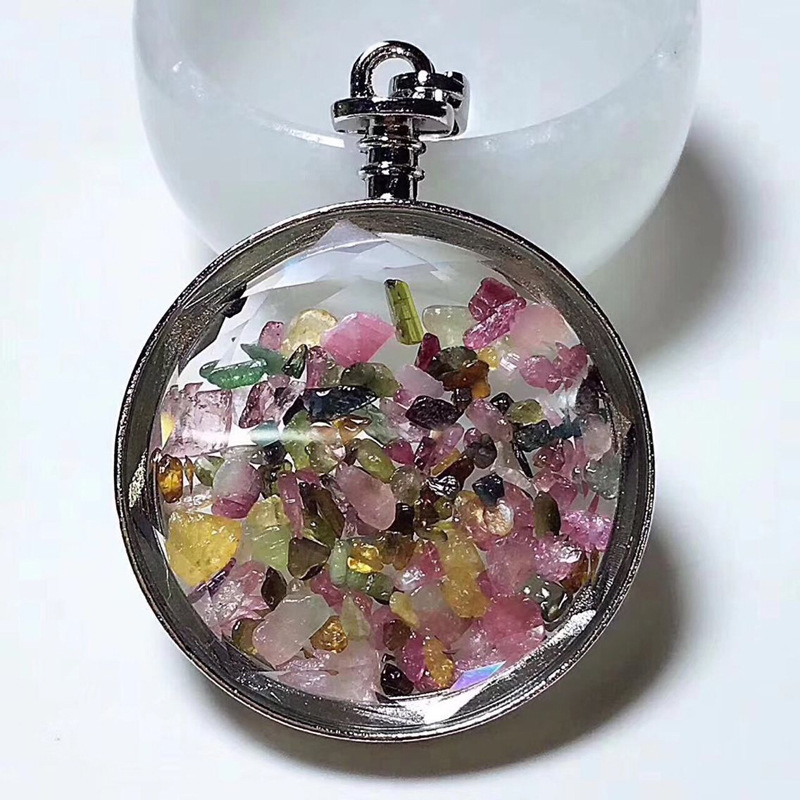 This pendant is in the shape of a pocket watch and is full of tourmaline stone. 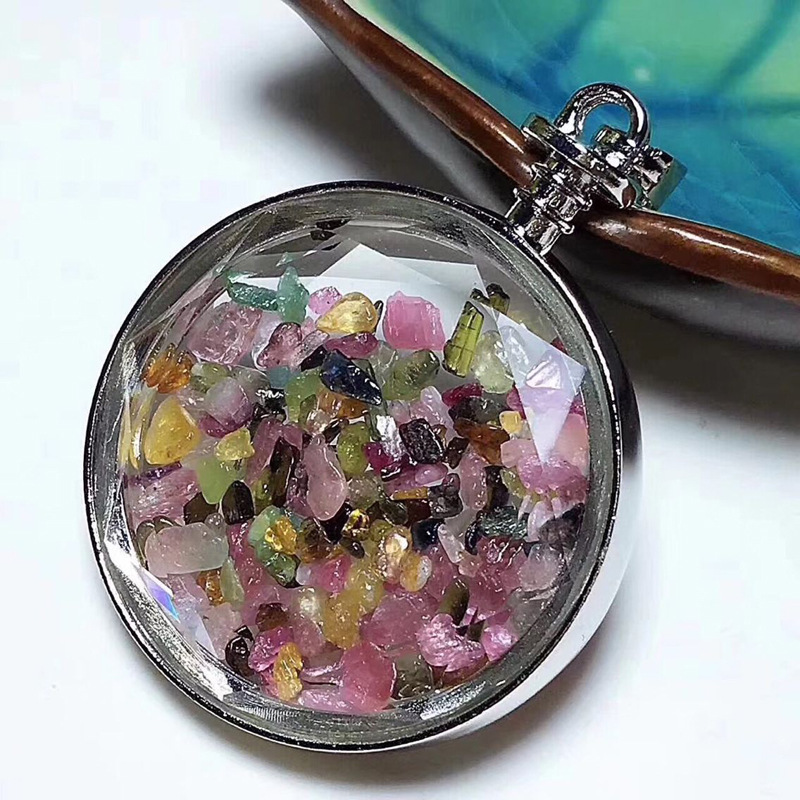 Tourmaline is a kind of naturally colorful stone, which is usually called wishing stone. So, this product is also called wishing bottle.People hoping that they can have good luck by carrying this. We can provide a 45 CM leather chain and a fine long silver plated metal chain for each pendant. JOYA GIFT CO LIMITED are a professional manufacturer and wholesaler of design, production, assembly and sales for magnetic jewelry, magnetic toys, magnetic gifts and semi precious stones etc. Our factory is located in Dongyang City in China. It is near to the Yiwu market. The company`s vision is to settle in Yiwu and serve the global market. Our task is to provide Magnetic jewelry, magnetic toys, magnetic gifts, semi precious jewelry, accessories, finished products and partially finished products to dealers all around the world. JOYA GIFT have also established a strategic relationship with different logistic companies, such as UPS,DHL, FEDEX,TNT ,EMS etc. These relationships enable us to provide a very efficient worldwide supply chain; we respond to international orders and have established a professional sales model. JOYA GIFT have talented designers and highly skilled workers, so that we can make the designs and products according to client`s specifications and requirements. We aim to increase our overall quality and ability to compete internationally, and we are strict on quality control and offer generous after sales services. We have a great reputation among our partners in China, USA, Europe and North America, etc. Our philosophy is: Quality is life, Service is soul. Your satisfaction is guaranteed. Since its beginning, JOYA GIFT has burst onto the market with its great quality, unique vision and has continuously had great feedback. In the future, we hope to further our business concepts maintaining our quality and reputation first and foremost. We hope to work with our friends and partners and create a situation where everyone will profit.